For reasons unknown to me, I suddenly got it into my head I should wear more elegant footwear. 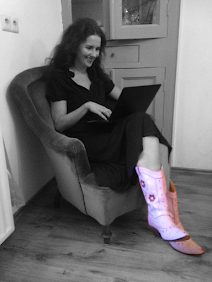 So I kicked my beloved Whooga Uggs to the curb, and put on some spiffy cowboy boots. Then I went to look at myself in the mirror, and I saw that it was good. So there I was, looking all elegant and sophisticated and cowboygirlish, when I noticed something: my toes were cold. They were in fact sending frantic requests for a St.Bernard dog with one of those handy whisky flasks around its neck. And I was wearing socks and everything. And no answer came, because there wasn't one. 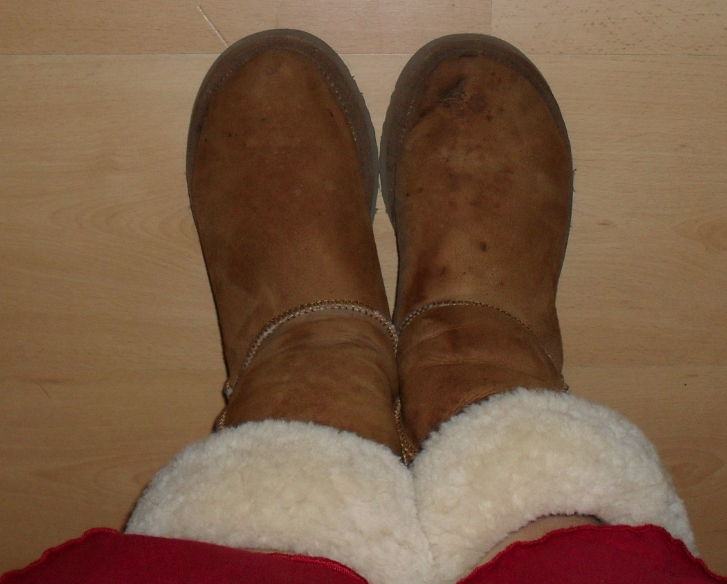 There ís no good reason not to be warm and comfy, in a pair of Uggs. So I ran upstairs and put on my Whooga Uggs, and let out a little cry of relief, when I felt there plush warmth. Do you like to wear Uggs, or do you think they're too ugly? I think they are pretty ugly BUT I wear them almost every day during the winter. They are just too warm and comfy not to! Living in SC, we don't have to worry about super-cold winters.. but I happen to be a super-cold person naturally, so I've debated the Ugg deal. I just can't do it, they're too Uggish. That said, I know if I try them on I'll never take them off - so to date I am UggLess.